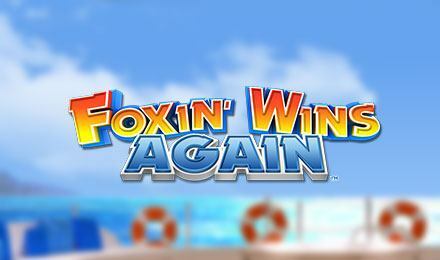 Foxin is bringing back a nautical themed slot to increase your luck and chances of winning. The game features Foxin himself and his newly bred fox pups that jump on the reels to form wilds on a certain feature. Join Foxin on his luxurious cruise ship and set aboard the 5 reels and 50 paylines grid. Here you trigger second chance and double prices features. Impatient to land wilds to set your winnings off? Play the Super Bet feature to help you with that! All you must do is pay a little extra on each spin and you’ll be off! Take in the cool sea breeze to clear out your lungs and take the waves from 50 p and £100 per spin! Foxin relaxing on the deck is the highest paying symbol where upon landing five of them on the reels award you 2,000 coins! Select Lines: Paylines on the games are fixed. Bets are made on all 50 paylines. Stake/Line: Set your stake value below the reels. Click Spin Button: Click on the spin button to start the game.